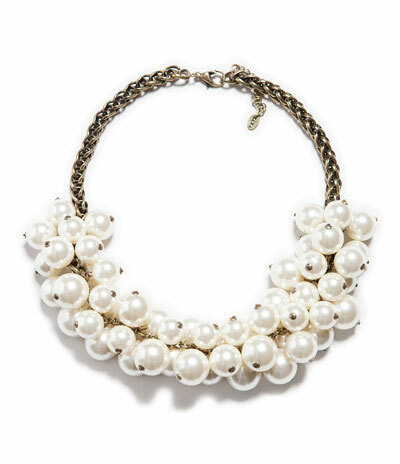 I'm a firm believer that a good statement necklace can totally transform an outfit. 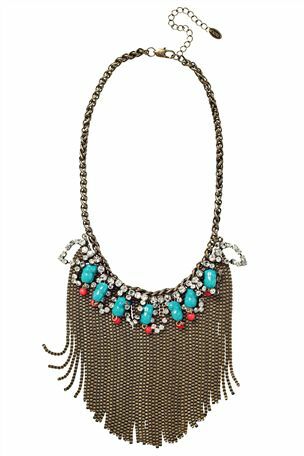 I have long been a fan of the scarf which also transforms ANY outfit but as we head into warmer weather (fingers, eyes and legs crossed that it's on its way) I am starting to buy more and more necklaces. Inspired by the ladies on Avenue 57 I am copying what they buy. I bought an amazing one from Wallis last month, it was in the sale and it's not online anymore I'm afraid but it totally 'made' this outfit look complete. 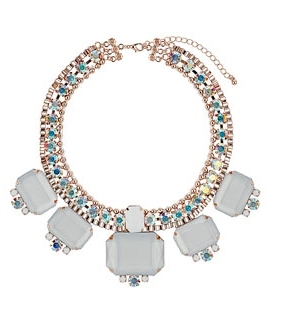 Zara - £19.99 - I am wearing this today! I'm actually loathed to leave it at my Top 5 but if I don't stop now it means I'll be doing a Top 200 - wow, there are SO MANY good statement necklaces on the high street. Are you a fan? Do you need to buy more? 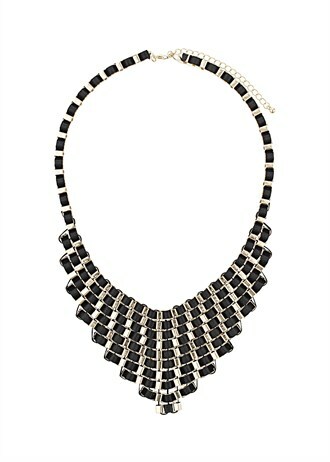 I'd love to see what you have, simply post a look on Avenue 57 of you wearing your statement necklace. I think if I don't buy that Mango one I will kick myself .. just going to work myself a little magic financially so I can justify it - or show my husband and see if he loves me enough to buy me a gift?! And excuse me cough cough, it was YOU that started this obsession of mine!! I love a statement necklace too and I agree that it transforms an outfit as well. Love the pearl necklace. 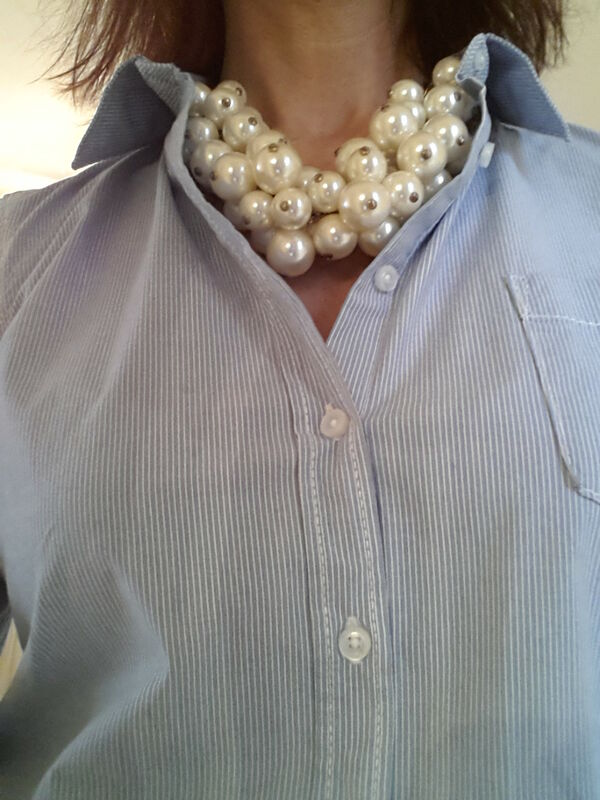 Thank you - it's chunky and feels a good weight - you know you're wearing it but it doesn't feel too heavy if you know what I mean! The Topshop one is amazing isn't it but at £45 it's (for me) a decision buy and not an impulse one .. if it were £20 it would be in my shopping bag already!! I love the Mango crystal one .. 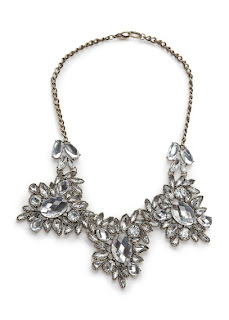 I would love to wear during the day just because you can with these necklaces now. If you lived closer we could go halves on some things and share !!!! That is exactly how I felt about them but once I tried with a little one, it was addictive to go bigger and bigger! I've now decided to not care about feeling over dressed, people who know me know what I do so I just always look a bit OTT for the school run!! I hate having my neck bare .. I need something to replace the scarf I've been wearing for the past 9 months!! 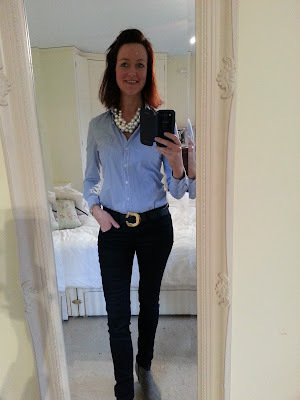 So glad to see you wearing a blazer, I have about 8 and thought they were completely 'out' as everyone seems to be in bike style jackets, which is fine for the petite, but I look like Arnie from Exterminator with a wig in black leather jackets! 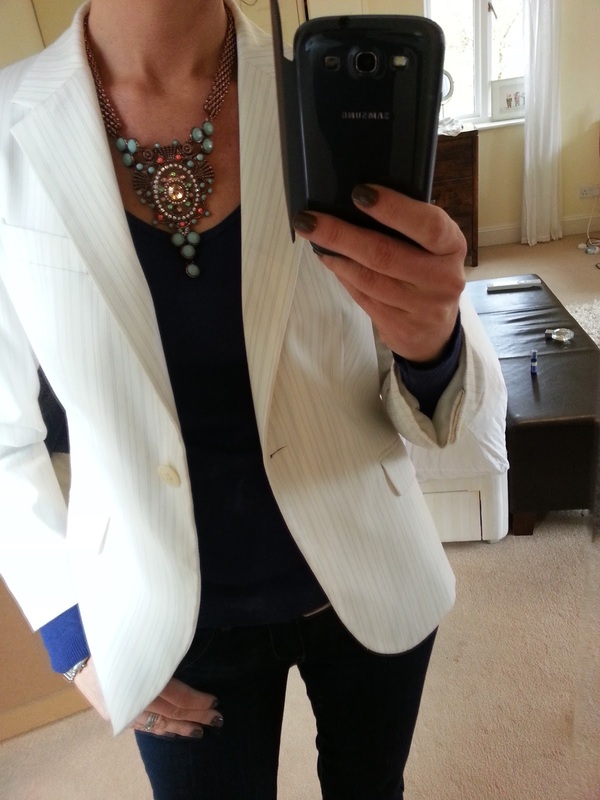 Oh my goodness blazers are amazing - get yours out and start showing and telling!! I can't believe I stumbled upon that TS one - I NEED IT! Oh my goodness how to you control not stealing all the stock?!!!!! The Matalan one is amazing isn't it? Oh I love that Zara pearl necklace! It looks wonderful on you with the shirt. Off to go look for it on the Zara site now. I promise it's one of the nicest things I've bought - it's really good and I cannot wait to wear again and again and again!